Making compelling photographs in a forest is often challenging. They are very cluttered and busy environments. Seeking out a clean, simple and interesting composition can take a bit of searching. 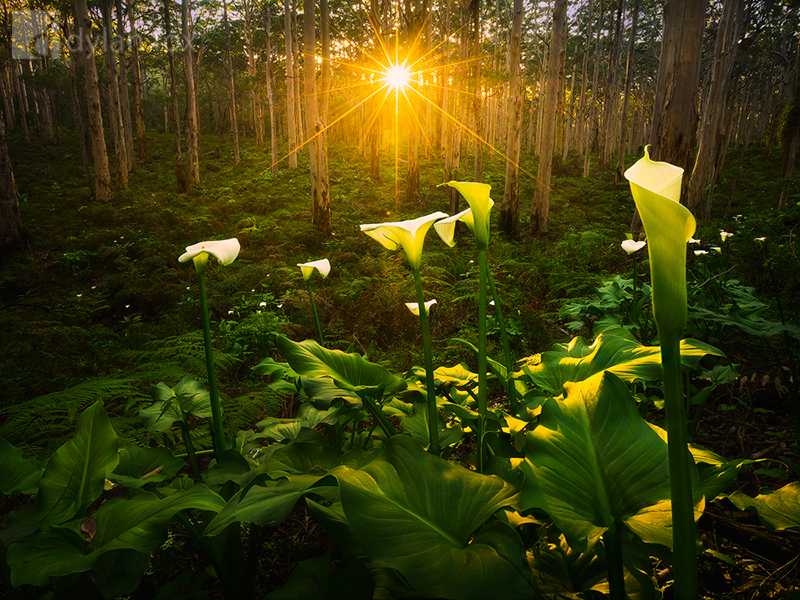 This particular morning as the rising sun peaked through the distant trees, I captured this photograph of some lilys on the floor of Boranup Forest. This stunning forest is in the south-west region of Western Australia and hugs an equally beautiful coastline. Secure your limited edition, Boranup Forest photographic print, 'Greenroom', by selecting your desired print size in the menu to the right.